Space Shower TV is one of the biggest music channels in Japan, donning the slogan ‘We love music, we love peace’. One of their shows goes by the name Space Shower TV “LIVE with YOU” where they broadcast premium live concerts from Japan’s top musicians. Musicians express themselves as people and convey thoughts, ideas and messages to thousands of people through music. At these premium live shows, artists deliver a special one-night-only performance with an emphasis on bringing fans closer to the music. The performances are close and intimate, to the point where you can hear the musicians’ breathing. They are broadcast as they are, showing the raw emotion and energy of the room. Various top musicians from Japan have graced the stage in this live series. 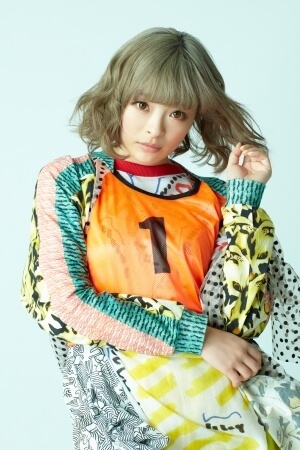 Adorning the list as the 22nd artist to perform live on Space Shower TV “LIVE with YOU” will be the pop princess herself, Kyary Pamyu Pamyu! She will take to the stage to deliver a free, invitation-only premium concert. Kawaii Kyary Pamyu Pamyu continues to spellbind fans with her unique mode of expression and peerless freewheeling spirit. This concert will be different from her usual arena and hall shows, offering a rare up-and-close performance. You absolutely cannot miss out on this golden opportunity to see Kyary Pamyu Pamyu perform right before your very eyes! *Those who receive an invitation must pay a compulsory drink fee at ￥500 upon entering.